Functional Behavior Assessments (FBA): If you are experiencing physical aggression or other inappropriate behaviors an FBA can be helpful in providing information on why these behaviors are occurring. After observations and testing, a Behavior Intervention Plan will be provided to provide families with strategies in reducing challenging behaviors. Skills Assessments: Language and learning assessments can be helpful in providing information on an individual’s current skill level in language, daily living, academic, and social skill areas. ABA Today provides 1:1 therapy to address communication, behavior challenges, self-help, social skills, and academics. Several treatment options are available to meet each family’s needs. All ages and levels of functioning are accepted in our program. ABA Today currently serves Travis and Williamson counties in Central Texas. We do our very best to make sure families who need ABA receive ABA services TODAY! Not everyone is ready to begin intensive long-term services and other families just do not require intensive hours. The Just One Thing program allows families to prioritize and pick one very important goal to work on. If families wish to continue with another goal or wish to continue into our short-term program this can be arranged. Short-term Program: Families seeking weekly intervention can sign up for our short-term program to address several learning objectives at the same time. Four or more hours/week is recommended to make adequate progress. The short-term program is designed for families seeking support for up to 6 months on prioritized goals and plan to utilize other services after 6 months. We will help transition families to other service providers and also help them identify possible funding sources. Long-term Program: Families seeking intensive internvention for one year or more can sign up for long-term services to address multiple learning objectives at the same time. Families in long-term services receive 10 or more hours of therapy per week. Students in the long-term program are re-evaluated every 90 days and a team meeting is completed to review progress and to discuss family priorities. ABA Today offers full day and half day workshops to provide parents, caregivers, and therapists opportunities to learn more about ABA and its application in teaching skills across environments. Please check the events section of our website for a full schedule of trainings planned for the next year. 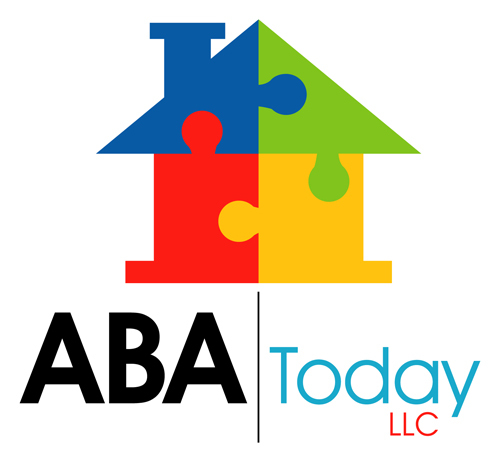 ABA Today is also available to provide professional trainings. Please contact us for information about training topics and CEUs that can be provided during our trainings. Consultation is available to help families review or modify their current IEP objectives. ABA Today will not serve as an advocate during scheduled ARD meetings but will support families by participating as team members and share information. When services begin a BCBA (Board Certified Behavior Analyst) will meet with your family to begin the assessment process. The first day is a parent interview which generally lasts 1.5hrs. The interview will help the behavior analyst learn more about your child's strengths, weaknesses, and your family priorities for services. All subsequent appointments will be involve observation of your child to determine how he/she responds to instructions and also to determine the skills they have in communication, daily living skills, academics, social/play, and more. ​Once the assessment is complete, the BCBA assigned to your family will provide a report that includes a recommended treatment plan and a recommendation of hours of therapy each week to meet treatment objectives. The BCBA and your family will agree on a weekly schedule and services will begin. We require family involvement during the entire process. It is important that your family is prepared to observe sessions and receive parent training on implementation of behavioral strategies so that clients continue making progress when therapists are not present. In addition to home-based services we provide services in the community. If your family needs help in the community setting such as shopping, restaurants, movies, etc. we build that into our services. We want individuals to be successful in the community setting as much as possible. We complete evaluations each 90 days and meet with the full team to review progress with each goal. 90 day meetings are also a good time to share any changes with family priorities or any challenges experienced in the home that need to be addressed. Are you in-network with any insurance carriers? Answer: Yes. We are in-network with Aetna. We can utilize your out-of-network benefits if ABA is in your insurance policy even if we are not in your carrier's network. How do I know if my insurance covers you? Do I need to file my own claims? Answer: No. We handle all insurance billing. How long does it take to determine if insurance is "working?" Answer: We allow 60 days for statements (EOB: Explanation of Benefits) to come in. If Insurance does not provide payment by 60 days of filing the claim it becomes patient responsibility to provide payment. ABA Today offers intensive feeding programs for children who display a limited diet. Our services can address sensitivities to taste and texture, behavior challenges for children who avoid new food items, as well as increasing the amount of food consumed per sitting. Please call us for more information.